“Be the local authority for your industry — I'd recommend going about it through regularly publishing blog content. (And setting up a business blog if you don't already have one.) Promote local industry gatherings, news, employees, and other educational content on your blog. Think of top-of-the-funnel content that goes beyond what your business sells. … While keywords form the basis of an effective understanding of — and competition for — a target market, trying for a #1 search-engine ranking (or even for a top 10 spot) for your business niche’s top keyword is usually extremely difficult when you're starting an SEO campaign in a field with competitors who have doing this for a while. “When trying to improve the ranking position of a particular page, the rest of your site can help a lot: Use variations of your target keyword as anchor text on your other pages and link them to your targeted page. “There are a limited number of variables that search engines can take into account directly, including keywords, links, and site structure. However, through linking patterns, user engagement metrics, and machine learning, the engines make a considerable number of intuitions about a given site. Usability and user experience are second order influences on search engine ranking success. They provide an indirect but measurable benefit to a site's external popularity, which the engines can then interpret as a signal of higher quality. This is called the ‘no one likes to link to a crummy site’ phenomenon. “The technology trends in our society have diversified your target audience. Your customers are no longer all sitting at their desk behind a personal computer to access the web. Mobile has essentially taken over. Google has adapted to the behavior of its users, and therefore, so should you. The ‘Mobile Friendly Update’ went into effect on April 21, 2015, which essentially leveled the playing field between mobile and PC users. So there you have it; just five ways to get started on improving your SEO — but it doesn’t stop there. 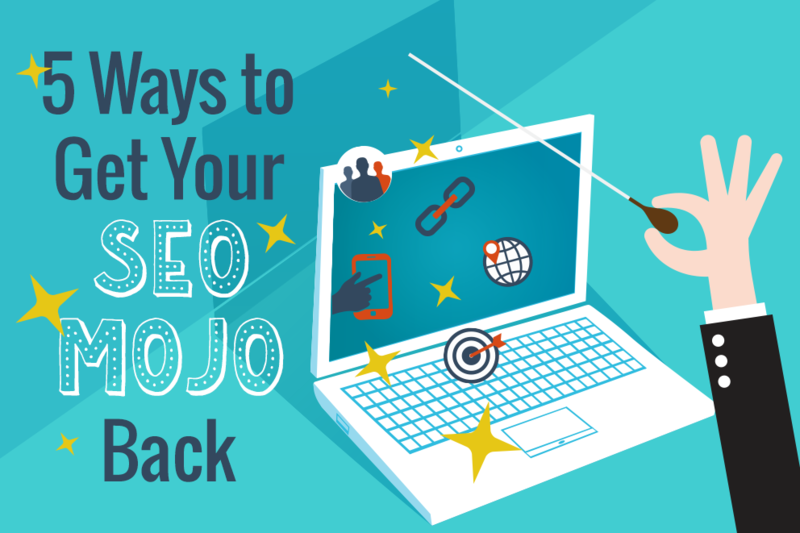 By working with the right inbound marketing company, you’ll get your SEO mojo back in no time.